Parents in Lincoln are fighting to save almost 100-year-old Wickham Gardens, after the City of Lincoln Council annouced it would dispose of the site. The concerned parents have created a group called Save Wickham Gardens — Infants Need Green Spaces, shortened to just SWINGS. Headed by Victoria Douch, the group began the campaign to save the uphill park in July, when most of the play equipment disappeared. On speaking to the council, it came to light that not only had the items been removed for health and safety measures, but because the council wanted to sell the site. Read the council’s document regarding the Wickham Gardens site here [PDF]. By closing the park, the council would save £3,276 per year in care costs. It advises people to use The Lawn instead, where £500,000 was invested in 2008. SWINGS are now battling the council to save the green space, which was given to the public as a gift by the late Cannon Wickham, former Dean of Lincoln Cathedral. So far, the group have drummed up support for their petition with 1,100 signatures, as well as backing from group Friends of The Lincoln Tank. SWINGS submitted their petition to the Council on September 13. The issue of Wickham Park will be raised in the next council meeting on September 28. Meanwhile, anyone wanting to show support for the group can talk to them every other Friday in the Duke William, Bailgate, at 7pm. — Update* on September 23 @ 9.54am: Head of Community Services, Leisure and Sport at the City of Lincoln Council Steve Bird said: “The play area within The Lawn’s complex has received significant investment in new equipment to make it one of the best parks in Lincoln, and the feedback we’ve had from residents has been excellent. 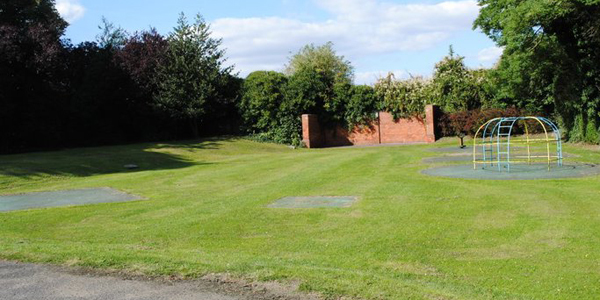 “Wickham Gardens is extremely close to The Lawn and it was simply not possible to develop both play areas. We’ve had to prioritise our resources and The Lawn was seen to be a much better site. “Officers have met with a representative of the SWINGS group and listened to their comments and concerns. “We have clarified for them the City Council’s current position and remain open to further discussions taking place with regard to the site’s future. — Update** on September 24 @ 9.24am: Emile van der Vee from the Hands Off Our Common campaign has pledged his support to SWINGS’ cause. He issued a statement to the group last night, stating that he felt SWINGS could “win this battle” to keep the park open. He said: “For what it is worth, I very much support your campaign to preserve open green space for the children of Lincoln in Wickham Gardens. “As has been indicated on your site, our campaign did generate some real results for the local community. I’m very positive that you can do the same thing, and I’m happy to offer you a helping hand if you want to. “Apart from the fact that the Council has a legal obligation to provide a playground for the children in the area that you live in, and the Council’s obligation to the land that was donated to them for exactly this purpose, the children who live in your area will need a playground that is properly funded. “Who on Earth would want to deny the children in your area access to green open space that was donated to the community of Lincoln about a century ago? “I’m quite confident that you will win this battle. If it doesn’t look like this in the first instance, no worries, there’s always another level at which this can be won.